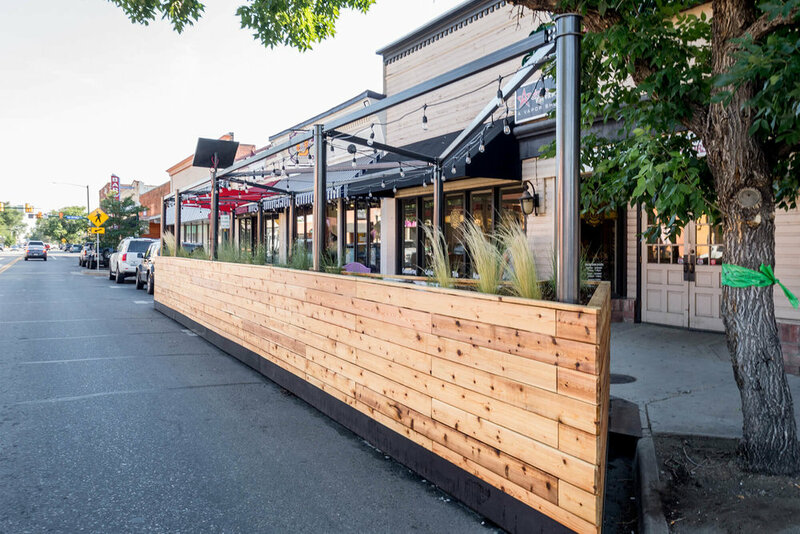 Designed by Russell + Mills Studio, The Brighton Parklet is a publicly commissioned community space and public architecture project located in downtown Brighton, Colorado. 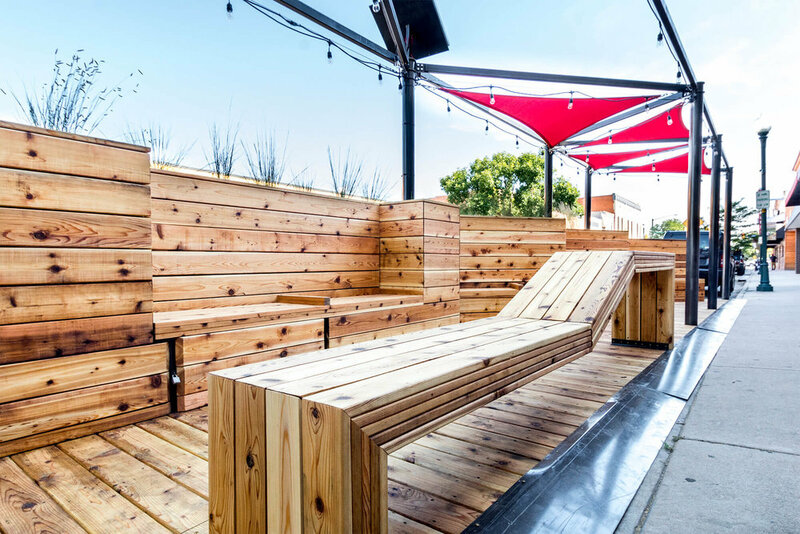 Raw Creative provided design assist and full fabrication and install of the nearly 40 foot long structure. 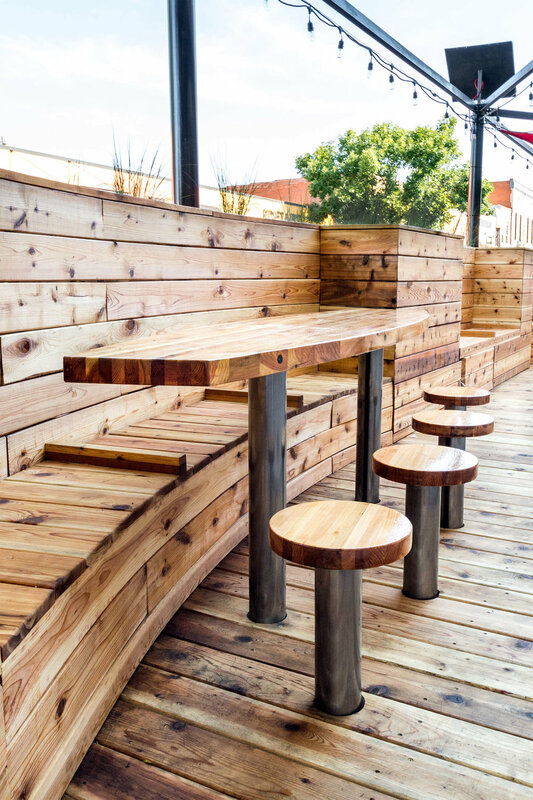 Built entirely out of cedar and steel, the space is lit by solar powered LED’s and shaded by tensioned canopies.